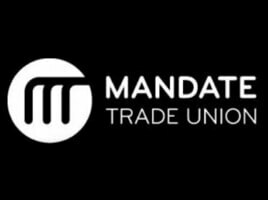 Mandate are one of the leading trade union organisations in Ireland representing retail sector workers. Mandate is a union of over 40,000 workers across Ireland. Their members join together and work to protect and improve their conditions of employment. It is often necessary for members to join together so that the companies they work for take them seriously on issues such as decent hours, pay rates, job security and fair treatment. In line with Mandates participation in the global ‘Strategy for Growth’ campaign which addresses the decline in union membership and density of the Trade Union Movement across the world, Mandate made a strategic decision to develop an App through which to communicate with their members in a more effective and timely manner. In this age of smartphone technology Mandate recognised that Apps could play a vital role in ensuring that communications with its members were best in class. Being able to deliver critical updates directly to each member through the App was one objective but the ability to perform an immediate ‘Call to Arms’ and then collate and analyse the results in real time would bring Mandate communications to a whole new level. The App needed to be easy to navigate, present members with the information that would be of most interest to them and also be available in offline mode when no internet connection was available. A key objective for Mandate was the ability to easily keep members updated on the progress of the various campaigns run on their behalf along with the results of all successful negotiations with employers and other organisations. ERS were chosen as the provider of choice in the development of this new Mobile Application. Our initial step was to perform a discovery session with Mandate to explore what their vision was for this new App, the functionality required and what would be the most appropriate platforms to develop for. The App needed to be easy to navigate, present members with the information that would be of most interest to them and also be available in offline mode when no internet connection was available. A demonstration of our App platform, ‘InfoApp Manager’ was all that was needed to convince Mandate that this was the solution to meet their objectives. The platform would not only enable them to dynamically build the App structure they needed but also publish all the content required, text, images and documents etc. to all three main mobile platforms simultaneously (iOS, Android and Windows Phone8). The Mandate Members Mobile Application has now gone live on all three mobile platforms (iOS, Android and Windows Phone8). Because the InfoApp platform integrates with Office365 SharePoint, Mandate’s marketing team have the ability to update the App content themselves and push updates to Mandate members instantly. They have also been able to collect valuable information from their members and feedback from completed forms within the App are collected for action and analysis. This is a great example of how apps can be used to improve communication with target audiences.